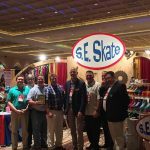 The Roller Skating Association International Convention and Trade Show 2016 (whew) was an absolute BLAST in Las Vegas this year! 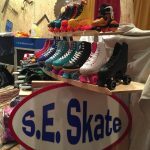 Taking place May 1st-5th, Southeastern Skate not only won best booth award, but we got to meet a ton of future rink operators, vendors and connect with friends. Just a few among many of our fantastic award winners! During the trade show we were able to visit different vendors and shop, and during the afternoon we were able to attend helpful short sessions, including social marketing and safety through signage. We had some great social events including the ice cream social, visiting the network nook and the Skate Gala! We can’t wait for next years event! If you have any pictures of videos from the event you’d like to share, you can still use the hashtag #SkateCon2016 on Twitter, Facebook and Instagram! Tag us at the handle @seskate! How The Skate Cleaner Really Works! As you may have seen on our Facebook page a few weeks ago, we posted a video from our GA office on our wheel washer and how it works! We’re so excited to share this with you guys, so we’re providing a more in depth breakdown so you’re in the know! Before we start, we need to talk about safety! Don’t wear loose clothing, lanyards or whistles that could get caught up in the machine. Tuck the laces in. We don’t want them caught in the machine either! Wear safety goggles or glasses. Just in case! Dump the cleaner in the 5 gallon bucket of hot water (wear gloves)! Now that the mixture is in there, activate the machine and push the food pedal to get the brushes covered with solution. Do this before you actually put the skates on! Now take the dirty skate and with two hands, rest it on the brushes. Note: don’t press down hard, as it can damage the brushes. Move it side to side while brushes are spinning. Put the skates on a towel to dry off. Easy as pie! If you’re ready to get started or have any more questions, please give us a call at 540-342-7871. We look forward to hearing from you and happy washing! Here are updates on a couple of products we’re out of stock on. GTX500 – We are out of black sizes 5, 6, and 7. Roller Derby is warning us that the next delivery won’t be until September. So we will be out of these sizes for several months. 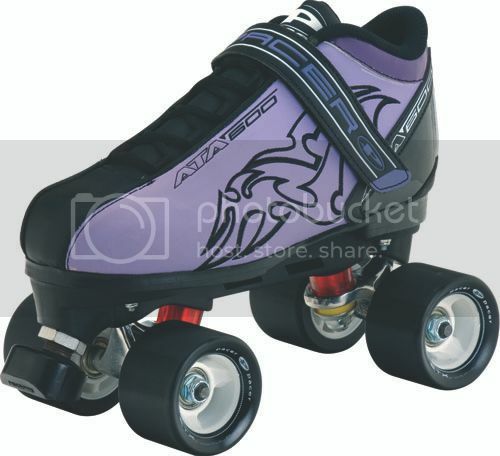 Good substitutions for this one include the Bullet skate or the ATA600 (black with red or black and purple, see below). We will get a few more pair in late April. Then we’ll get a bigger shipment early in June that should have us in good shape. Safety Tips For Inline Skating! As parents, we tend to feel uneasy as our kids get up on skates for the first time. And if your child is extra ambitious, sometimes this feeling never ceases. To give yourself peace of mind, it’s important to be aware of precautions, safety measures and overall skating tips to prevent your child from getting hurt! Why is skating safety important? Inline skaters tend to skate in areas surrounded by other athletes; like parks where there are bicyclists, skateboarders, joggers, etc. This means a bigger chance of a painful collision. Most injuries are caused by a lack of balance, and those who go down typically fall on a hard surface. So having the protective gear will minimize the casualties! What gear should my child have? Helmet. This is the most important piece of equipment. Without it, you can have a major head injury! Pick one out that is snug on your head, extends farther into the back of your skull (in case of a backwards fall), and fasten the straps snugly under your chin so it won’t fall off. Skates. Oddly enough, skates that aren’t the right fit can also cause injury! Make sure the skates you choose are comfortable, sturdy and provide great ankle support. Also make sure wheels and brakes are tightly secured, and the buckles are in good shape. Check out our parents guide to buying skates for kids! Pads. In addition to the skull, the most common places for injury are knees, elbows and wrists. We highly recommend getting pads for each of these areas. They should have a cushion interior material, but a hard exterior on the outside to prevent injury. Correct Clothing. If you’re still worried about scrapes and cuts, wear a long sleeve shirt and jeans to minimize the damage. If you’re doing some heavy duty skating, consider getting a mouthpiece as well. The most important advice we have for child skaters is to work your way up. Start off in an empty parking lot or driveway when you’re first learning, and build your way up to parks. Always make sure you’re on a smooth surface, and far away from any traffic! Make sure the weather is suitable for skating, give yourself plenty of space and do a quick 5 minute warm up before jumping into any serious skating. The Best Games To Try At Your Roller Skating Rink! Who doesn’t love a great day roller skating with friends and family? Roller skating is always a no-fail good time, however we’ll be the first to admit; sometimes going around in circles gets a little monotonous! 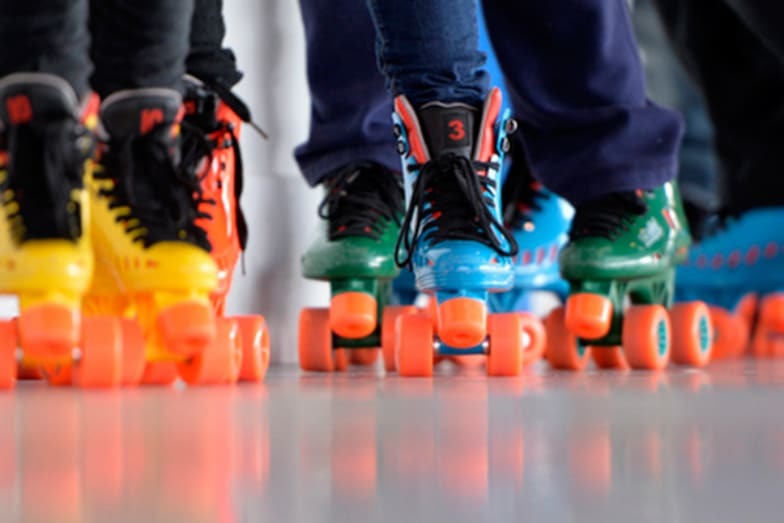 So we’ve decided to introduce to you some super fun activities on roller skates (inside and outdoor) that your kids will love. Here are our favorites below! Musical “Chairs” On Skates. Have a blast with this fun twist on a classic game! Instead of using chairs, players will have to stop at a spot marked on the ground (outdoor you could use chalk, indoor use tape, etc). Make sure you have one extra person than you do marks on the ground. Have a DJ play some music, and stop it at a random point. When the music stops, players must find their way to the top of a spot. Whoever doesn’t find a spot is out, continuing until you have a winner. Roller Tag. Just like the normal game of tag, the same rules apply! Find an open space like an empty parking lot, gym or roller rink. Pick one person to be “it”. This person will try to chase down their friends and if they can touch their shoulder, that person is now it! Note: parental guidance is suggested for this game, as kids can become too enthusiastic move forcefully! Prize Places. This is a great game for kids because it has a ton of incentive. Gather a couple of notecards and write different areas in the rink on them. For example, next to the DJ booth, by the exit sign, or near the concessions would work just fine. Put all the cards in a hat. Have the kids start skating around the rink, and stop the music at a random time. The host will pull out a card, and whoever is closest to that listed location will win a prize! Pizza Relay. Everybody loves a great relay race; so let’s put a fun spin on it! Gather a group and split them into two teams. Mark a skating lane for each team. Use cones to separate the lanes and tape to mark the start and finish line. Give the first person in each line a stack of empty pizza boxes (5 is a good amount). The first person begins, and must hold them as they skate their lap. If they drop any of the boxes, they have to return to their line and start again! If they make it, they’ll hand it to the second person in line and they’ll go until one team has it completed. And there you have it! If you’re looking for great skates for these fun games, check out our fantastic spring collection! You can also find a local rink on our skating rinks page. Vanilla Skate is running a promo to thank the rinks for their support over the years. From now until April 15, 2016 rinks will get a free t-shirt with any Vanilla purchase. The shirts come in small, medium, or large. Sorry, but this offer is only valid to roller skating rinks. Vanilla is also coming out with new prices. These new prices are effective immediately. We still have a few pair of the GT50 Lite Up version in stock as well as the Revive Lite Up from Roller Derby. Both of these skates have lights built into the shoe. They’re guaranteed to bring attention to your proshop. We will be attending the upcoming RSA Convention the first week of May. Hopefully we’ll learn more about the new skates that are coming and get a feel for what to be expecting this fall. If you’re at the show, please stop by our booth. We’ll be right by the front door. Can you believe we’re only a month out from the 2016 RSA Convention? We’re so excited, and you should be too! We’re going to go over a brief event preview, what to expect, and what we’re doing leading up to this fantastic annual event! 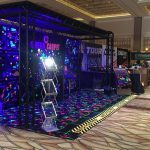 What is the RSA Roller Skating Industry Convention And Trade Show? 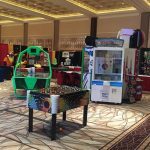 In a nutshell, the RSA Convention is a week long event in Las Vegas, NV where skating center operators, owners, coaches and roller skating experts can learn, share knowledge and experiences, and become educated about the industry in an education and recreational way! Attendees will socialize with different organizations. This includes going to seminars and listening to guest, keynote, comedian and professional speakers in the industry. By experiencing these different events, you’ll find incredible ways to improve your business, learn how to reach customers and get up to speed on everything happening in the industry! 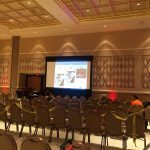 There are all inclusive meals, presentations, seminars and interactive events that will foster a ton of creative ideas and practices to take back to your own business. In preparation for this huge event, we’re going to local chapter meetings put on by RSA members! These seminars are based on a variety of topics, including social media, birthday parties, insurance, etc. Here is what our calendar looks like up until RSA! 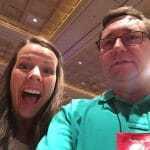 RSA – National Convention and Board Meeting – April 30 through May 4.
Who can we expect to see at RSA? Comment below if you’ll be attending and share our post to inform others of this fantastic event! Stay connected with us on Facebook as we document our RSA experience! The Sure-Grip GT50 Plus Light Up skates are now in stock. This skate is very similar to the traditional GT50, but the soles are unique. They’re clear, with LED lights built into the sole. By pushing a button you can cycle through several different light up options, with different color lights, blinking lights, or lights that change colors. The LED lights are rechargeable via a USB cord. Sizes 4-10 are in stock now. 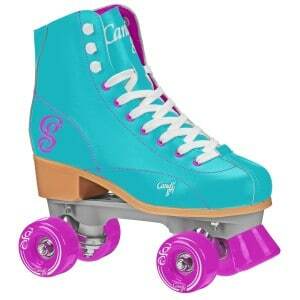 We just received a new batch of the Candi Girl skates. We were out of several different versions of this skate for some time. We still don’t have as many as we would like to have, but we’re in better shape than we were before this shipment. We just got back from an RSA meeting in Nashville, TN. 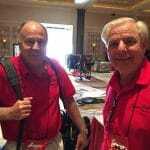 We plan to be at the one in Atlantic City, NJ and also the annual convention in Las Vegas. If you’re attending any of these, please stop by our booth, we’d love to meet with you in person. 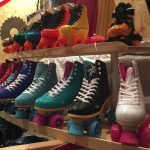 There are so many roller skates out there; and you need to be knowledgeable on what skates are right for YOUR child! Here’s a little guide we think will help. 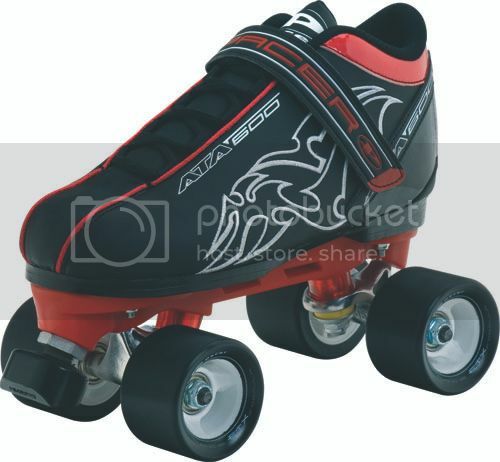 These are the two main types of skates for children. Quad skates are considered the “original” skates, and are more for indoor use. 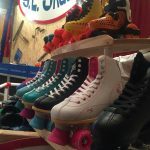 Inline skates (roller blades) and more for outdoor skating. Quad skates are typically more conventional, so they’d be perfect for a beginner skater. They have two wheels in front and two in back, which allow for better balance. 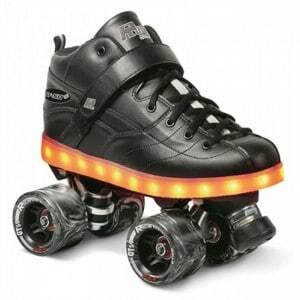 Inline skates have 4-5 wheels in a line, making balance a little more difficult. Teens are known to handle incline skates better, however it’s all based on the child’s experience! 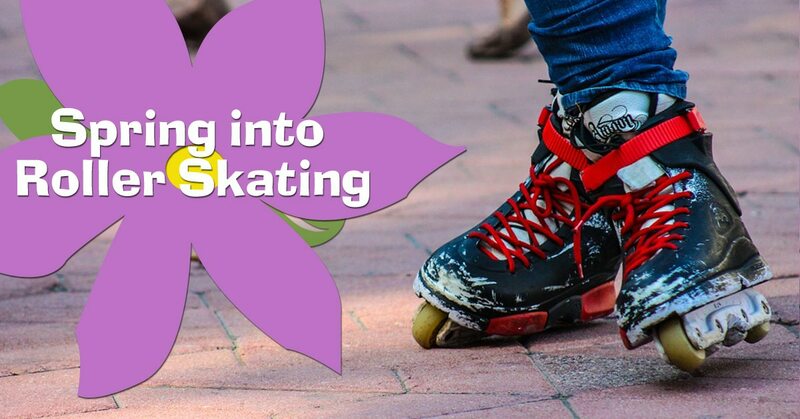 Skates are kind of like tennis shoes; your kids will grow out of them quickly as they get older. It’s smart to buy skates a size bigger, but no bigger than that. This way they have a little bit of wiggle room and can use them for longer! Just make sure not to buy a size that is too big, otherwise the loose space can cause blisters and discomfort. 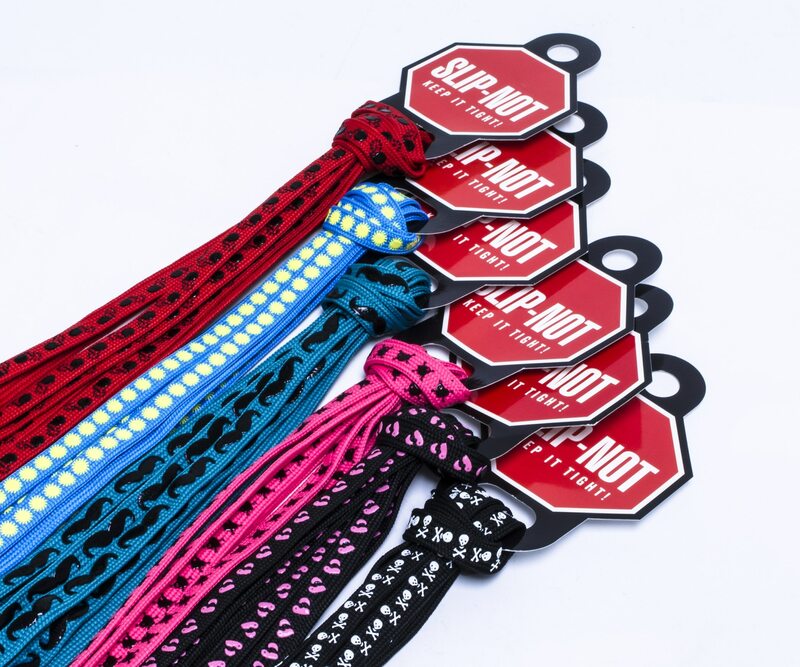 If buying one size bigger, be sure to tie laces tightly and use thick socks. We hope this has helped! And guess what; we have a ton of skates for you to choose from! Take a look at our 2016 catalog, and our roller skates page to take a look at all sorts of skate styles. We have tons of new spring skates in stock. Still having questions about what to purchase? Contact us, we’d love to hear from you! The Sure-Grip GT50 Plus Light Up skates are now in stock. Our first shipment was fairly small; they might not last a long time, so if you’re interested try to get an order in quickly. This skate is very similar to the traditional GT50, but the soles are unique. They’re clear, with LED lights built into the sole. By pushing a button you can cycle through several different light up options, with different color lights, blinking lights, or lights that change colors. The LED lights are rechargeable via a USB cord. The skate comes in black, sizes 4-10. 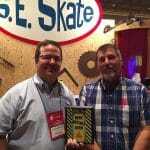 We’ve got a link to a video that shows the skate in action available here.